I have a confession, I’m not a food blogger — just a mom who loves to cook. When I started out, my recipes were good, but my pictures were bad. Really bad. Since then, I’ve learned a little about photography and improved some (I hope), but I’m still just a mom who cooks and sometimes, I get tired of writing elaborate descriptions of recipes, because, really… who reads those anyway? 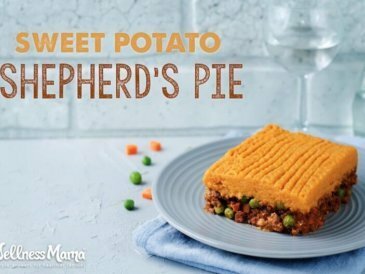 Rather than attempting to write a fancy description about how delicious, delectable, perfectly balanced, and ______ (insert other over-used food word here) this recipe is, I’ll let its simplicity speak for itself. 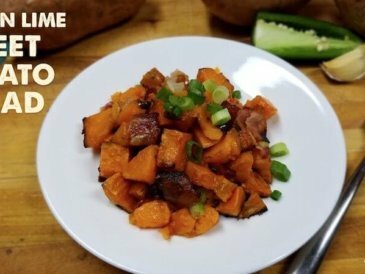 Sausage & sweet potato hash isn’t fancy, and I wouldn’t serve it at a dinner party (unless it was a dinner party centered on watching sports), but it is a quick meal option that my children absolutely love and that is super simple to make. 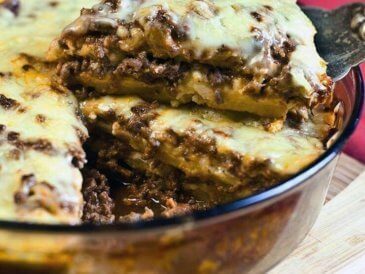 My favorite thing about this recipe is that I can make most of it ahead of time. I usually work through the first few steps one night while making another dinner. With the oven and stove already on, it isn’t any extra work and then I have a protein rich breakfast ready to go. 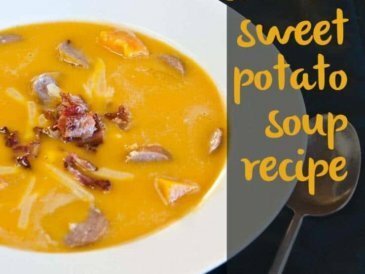 This recipe is delicious and full of nutrients. I love this as a make-ahead breakfast recipe since most of the prep can be done ahead of time for a quick but nutritious breakfast. 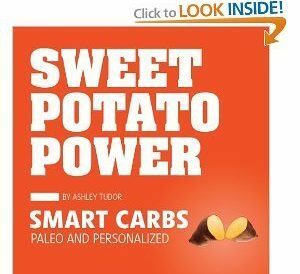 Peel the sweet potatoes and cut them into 1/2 inch chunks. Place them on a large baking sheet or sheet pan and toss with olive/coconut oil and sprinkle with salt, pepper and garlic. Drizzle with the coconut oil and sprinkle with spices. Toss to coat. 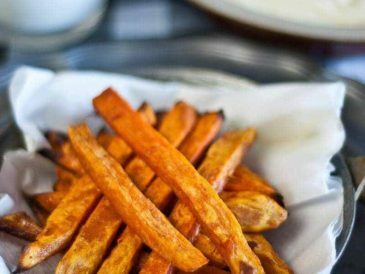 Roast the sweet potatoes until they are soft but not mushy, about 25-30 minutes. While sweet potatoes are roasting, brown the sausage in a medium skillet. When browned, remove and set aside, reserving grease in the pan. Core the apples and slice the apples and onions and add to the same skillet. Saute on medium heat until translucent and caramelized. 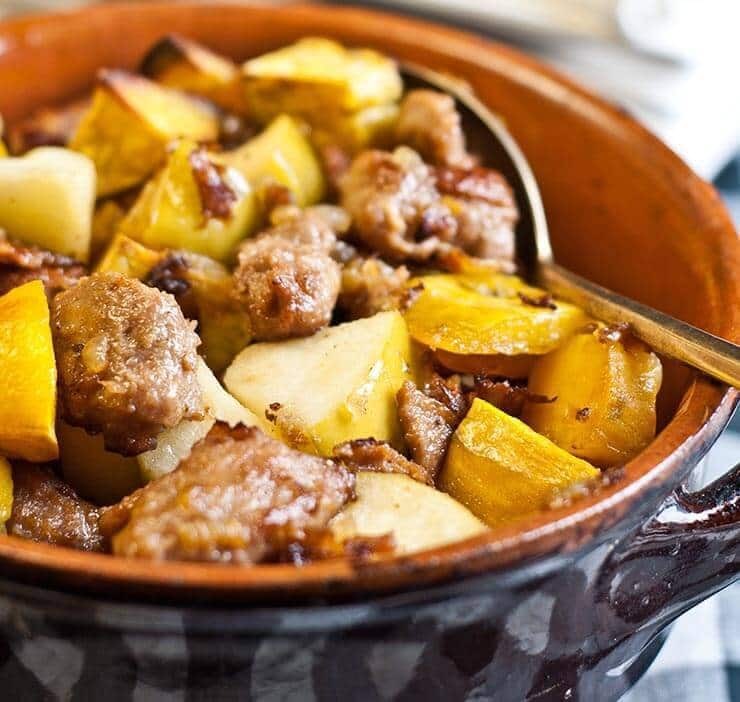 Remove sweet potatoes from oven and add the sausage, apples and onions to the pan with the sweet potatoes. Stir to combine. Serve immediately, or, if making in advance, let cool and cover. Place in refrigerator for up to two days until ready to use for a meal. To reheat, preheat oven to 425 degrees. If using eggs, make small wells in the sweet potato mixture and crack eggs into the wells. Bake for 10-15 minutes until heated through and until egg yolks are desired firmness. You can substitute chicken, grass fed meat, or other protein for the sausage if you'd like. Tired of over-used food blogging words? What is your simple go-to dinner that isn’t fancy but tastes great?